UP elections: Can Purvanchal region save the BJP from defeat? More than two-third of the UP has voted for its next government but question still remains that whose holi will be more colorful. Will BJP be able to play the saffron holi as claimed by Prime Minister Narendra Modi in his political rally? Or Samajwadi Party-Congress alliance will have a last laugh? Is Mayawati's BSP still in race? These all are common talking point in every street of the UP now a days. Here, Idhar Udhar comes with its deep analysis that where the pendulum will swing? How the first two phases went? SP-Congress alliance got an enormous success in getting 80% of the minority votes in Western UP and Ruhelkhand. Alliance become the automatic choice of minorities. Loksabha Constituencies like Saharanpur, Mooradabd, Rampur, Muzzafarnagar and Meerut went in BJP's pocket due to split in minority votes in 2014. Another big factor which went in BJP's favour was consolidation of Jat votes to Modi after unfortunate riots of Muzzafarnagar. As per the ground reports, Jat didn't vote to BJP this time around as central government failed to manage the Jat protests for reservation peacefully, Military shoot dead few Jaat protests in Haryana after which Jaat decided to teach a lesson to BJP. Not much exictement seen in BJP's core voters also. As a result, turnout in BJP's bastons was low in comparison of high turnouts in Dalit and Muslim areas. If majority of Jaats voted to their traditional party RLD then Jatav Dalits remained intact with Mayawati's BSP. Non jatav dalit votes got divided between BJP and Congress. 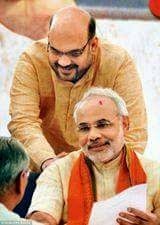 BJP still remain the first choice of non yadav and not jaat OBCs. Infact, Modi and Shah duo relying heavily on forward castes and non yadav OBCs combination. 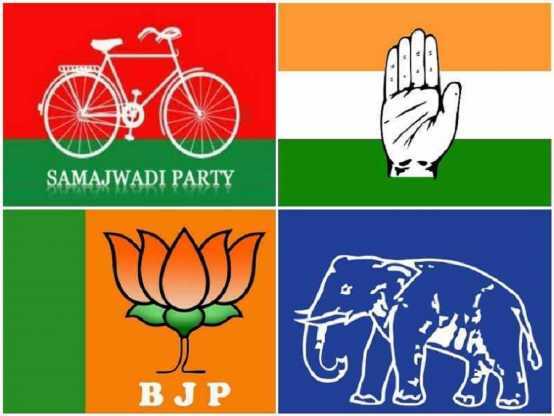 Alliance sweep is depending on making inroads to BJP's OBC votebank BJP was hoping for polarisation in first two phase but attempts of polarisation failed miserably. After first two phases, alliance had clear edge over BJP. SP's traditional seats like, Itawah, Mainpuri and Kannauj went to polling in this phase. SP made complete sweep in 2012 assembly polls in their baston. After dispute in family, Akhilesh Yadav faced huge challenge in his home turf but Akhilesh's clean image and Congress vote base is saving the party from any damage. Sweep by SP expected this time around as well. Post polling of third phase, SP-Congress looks way ahead of BJP as former quite successfully retained its yadav muslim support base in third phase. BJP's blunder to send empty train in drought affected area of Bundelkhand may prove very costly to the party. BJP looked out of contest in Bundelkhand region. Main contest was seen between alliance and BSP. Lower turnout in most of the constituencies in fourth phase also indicating absence of anti incumbency. As per internal survery of RSS, BJP left far behind after first four phases of voting. As a result, BJP backed to its traditional politics with Prime Minister Narendra Modi himself taking a charge in playing communal card in India's largest state by bringing shamshan, Kabristan, Ramjan, Diwali, Pakistan, ISI into his campaign. Modi's desperation is clearly indicating the last attempt of polarising the remaining phases of the state. Sometimes speech in rallys also gives you a hint that which way the wind is blowing. As per ground reports, BJP was quite successful in polarising some assembly seats of fifth phase. On the eve of sixth phase, BJP leaders are now chanting Burkha Burkha in the despiration of polarisation. Damage has been done in first four phases to BJP. Their performance is expected to be far below the expectations. Can BJP sweep the purvanchal by playing communal card? It seems that BJP is getting success in polarising the purvanchal region of UP to the some extent but will it be good enough for saffronised party to make a comeback in Uttar Pradesh? Seems extremely difficult as BJP has to win 75 seats out of remaining 90 constituencies which will go to polling on 4th March and 8th March. After getting decimated in Delhi earlier this year, BJP faced another humiliated defeat in the battleground of Bihar as Chandgragupta Maurya's land once again created history by giving two-third majority to the grand alliance of Nitish-Lalu. Modi led NDA, who won around 175 assembly segments in 2014 lok sabha polls, was restricted to just 58 seats this time around. Back to back drubbings in Delhi and Bihar have officially ended the honeymoon period of BJP who came to power in center with thumping majority last year. Indian voters brought the BJP to power with the hope of good governance but it seems as if BJP is creating new records in terms of gaining so much unpopularity at a rapid pace. The tall promises of Narendra Modi are falling flat now as Delhi and Bihar results also reflects the same. There are several factors which swings elections one way or another. If 3D rallies of Modi helped Modi to connect with masses in lok sabha polls then 3D (Dadri, Dalit, Dal) factor pushed BJP towards shameful defeat in Bihar. 1. Dadri - The murder of Akhlaq by right wing fanatics on beef issue generated the new type of debate in the country on the increasing intolerance which ultimately forced renowned authors to return their national awards to the government. The insensitive statements of several BJP leaders on dadri issue have also added fuel to the fire. This unfortunate Dadri incident made perception that BJP is promoting the hidden agenda of RSS as a result of which minorities and secular votes got polarised in favour of JDU-RJD-INC. BJP's ploy to split the minority votes by putting the gun on the shoulders of likes of Owaise and Mulayam has also not worked. 2. Dalit - BJP made alliance with Manjhi and Paswan with the hope of getting dalit votes but RSS chief Mohan Bhagwat's statement on reservation made the atmosphere of fear in the mind of dalits that their right of reservation may be withdrawn by BJP as saffron party is the puppet of RSS. 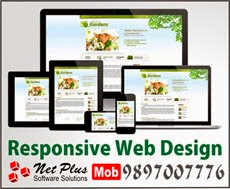 RJD supremo Lalu Yadav used the statement of Bhagwat to the advantage of grand alliance. He was able to demonstrate successfully in his aggressive campaign that RSS and BJP's agenda is anti dalit and BJP had no counter to the allegations of RJD chief. With the consolidation of minorities and yadav votes in favour of grand alliance, the only hope left for BJP was dalit votes but Bhagwat's remarks on reservation proved to be the last nail in BJP's coffin. 3. Dal - One of the major promises of BJP in lok sabha polls was the control on inflation but inflation is reduced only in numbers, not in reality. In fact, the prices of dal have broken all the records as its price reached upto Rs. 220 which almost taken the dal away from the thali of aam aadmi. Apart from dal, prices of other essential commodities are also touching the sky. BJP's attempt to blame Nitish government for rise in the prices of dal in Bihar was completely rejected by the voters. Not just caste equations, but BJP's poor record of governance at center in last 18 years has also worked in favour of grand alliance. In a country like India, people talk with customer care girl for hours for passing the time, so what is the big deal if around 90 million members joined BJP by giving a miss call. If BJP still takes lot of pride in this then my entire sympathy is with Amit Shah & Co. Nevertheless, BJP has already admitted that no one would like to waste even a rupee by calling saffron party as a result of which they launched miss call campaign. BJP's innocence on miss call member drive is not less than that guy who thinks that girl likes him as she liked his facebook status. 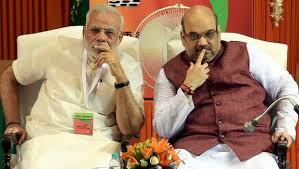 The another significant factor which can also be ignored is that Advani ji and Joshi ji might have given plenty of miss calls by trying to contact Shah-Modi from different-2 contact numbers so that they receive call of these two veterans by seeing the unknown number. Still confused? Ok, then try to understand in this way that huge number of telephone calls which Kejriwal didn't receive in recent past, had they started treating every such caller as their party worker, total figure of AAP workers would have crossed China's population. If BJP is largest party on the basis of missed calls then I would urge ICC to declare me the greatest batsman than Don Bradman by considering number of runs I scored inside my house.So what, if my house boundary is too small due to which my bat hit the bowler's face in his follow through when I play any shot. In fact, sir Ravindra Jadeja can also become number one batsman in ICC ranking if he start appealing to his fans for miss calls. ICC should start considering 10 missed calls = 100 ranking points. Will Arnab held his wife responsible for #shameontimesnow trend on Twitter? India lost the high voltage semifinal of ICC Cricket World Cup 2015 against Australia and one section of media has found the culprit of the match and that culprit is none other than bollywood actress Anushka Sharma. Yes, you have heard it right. Home advantage, toss advantage and middle order collapse didn't script India's defeat but Anushka should take the sole responsibility of India's loss because she was one of the thirty thousands Indian fan supporting his team in Sydney. How can the presence of someone distract the player like Virat Kohli? According to media, not the Mitchell Johnson's pacy short pitched delivery, but it was Anushka's smile which got rid of Kohli and damaged India's chances to reach the final of ongoing World Cup. 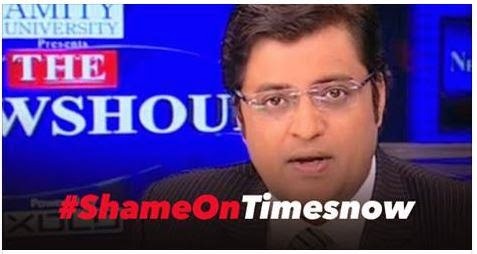 Well, I would like to ask Mr. Arnab that #shameontimesnow is trending top on twitter, will he now held his wife responsible for all the flak which times now is receiving on twitter since yesterday? If not then he must apologise to Anushka, Team India and millions of cricket fans for hurting their sentiments. Times now is the same channel which made every possible attempt to affect the morale of Indian cricket team just before the Champions Trophy 2013 by dragging Dhoni in match fixing controversy. But, Dhoni & Co. gave Arnab a solid reply by winning a mini World Cup in England. Times now editor-in-chief believes that making noise and selling sensationalism is the only way to get TRP. He forgot the ethics of journalism long way back. I don't know that Arnab belongs to which school of journalism. But the basic rule of journalism is to report a news without becoming a party to anyone. Unfortunately, he conduct biased news hour debates frequently as there is hardly any space on times now for neutral journalism. Despite being Kohli's girlfriend, Anushka has every right to cheer his team in the stadium and no one should have any objection on it. You can't blaze your guns on this bollywood actress just because Kohli was dismissed cheaply and eventually India lost the match. Indian media and fans should be brave enough to admit that we lost to a better team which is ranked number one in ICC ODI rankings. But, people who never held a bat in their life are giving lectures to the team which won seven matches in a row and overall 16 consecutive matches in ICC tournaments since 2011 World Cup. When Kohli hit four centuries in recent Test series against Australia, Anushka was there in Australia to cheer Kohli and his team. Wasn't the same media was labeling Anuhka a lucky charm then? If Kohli score runs in Anushka's presence then she becomes lady luck but if Kohli dismissed early in his innings then presence of bollywood actress distract Delhi dasher. Indian fans deserves much logical and sensible cricket coverage from media but channels like times now prefers noise over news.